Experts invite members of the public to bring along their antiques for examination. Hosted by Fiona Bruce. Browse content similar to Series 32. Check below for episodes and series from the same categories and more! Fiona Bruce takes the team to the Lancashire coast to the Blackpool Tower Ballroom. Fiona Bruce and the team return for a second visit to the Tower Ballroom in Blackpool. Fiona Bruce and the team visit to Hertford College, Oxford. Fiona Bruce and the team are in County Durham for a visit to The Bowes Museum. A return visit to Bletchley Park near Milton Keynes for Fiona Bruce and the experts. 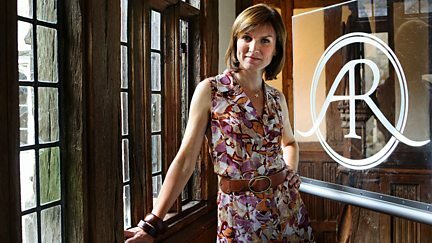 Fiona Bruce and the team visit Abbotsford, near Melrose on the Scottish borders. Fiona Bruce and the team set sail for the Channel Islands. The programme makes a return visit to Leeds Town Hall. Fiona Bruce and the team head to Somerleyton Hall near Lowestoft. 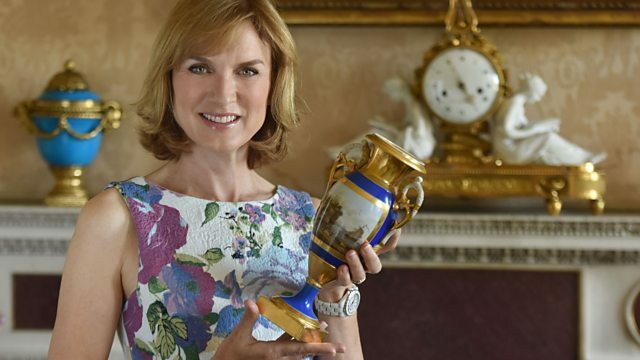 Fiona Bruce and the team make some intriguing finds in the Cotswolds. The experts enjoy a second visit to the Old Royal Naval College in Greenwich.